With NSX 6.3, VMware is also releasing something called NSX-T. If this is the first time you’re hearing about it, rest assured, you are not alone. First of all, “T” stands for “Transformers” and the version being released today is 1.1. If you know/remember the history of NSX, you’ll know that there existed a multi-hypervisor version of NSX, called NSX-MH. However, NSX-v became the focus, simply because of the large vSphere install base that is VMware’s core product. Now the focus is shifting back to other ecosystems as well. Think of NSX-T as the evolution of NSX-MH. In time, it will support all different kinds of non-vSphere environments but there was an immediate need to integrate and support other platforms that are currently being integrated into the vSphere landscape and hence the shift of focus back to the multi-hypervisor product. One option could have been to keep extending NSX-v but given the rapid growth in all sorts of variants, I think it’s good to have a separate product as that creates a nice clear boundary between use cases and there are a lot of customers out there which are pure vSphere deployments. That’s the word that VMware is using to describe the purpose of this product and it is designed to be highly extensible. That will enable integration and support of all the various cloud platforms that are non-vSphere, both private and public and including containers. Version 1.1 supports private IaaS environments for Openstack and there’s multi-hypervisor support for both KVM and ESXi. Multi-tenancy is also supported. There are also performance and resiliency optimisations (as compared to 1.0). This version focuses on the needs of the developer mainly but there are more things on the roadmap, to make it more versatile when it comes to integration aspects. 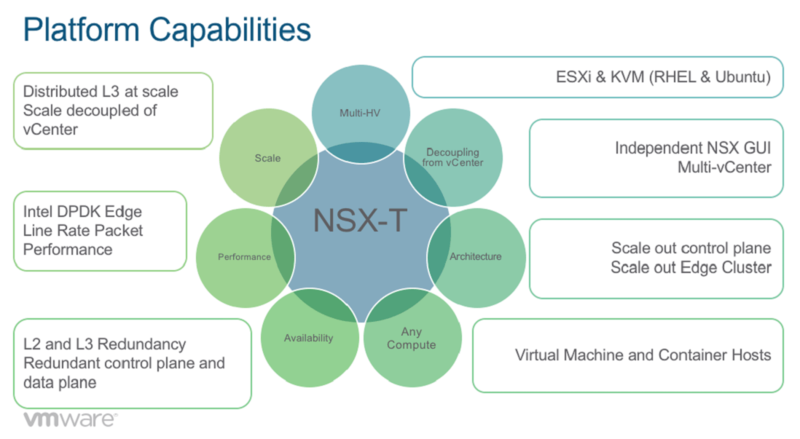 So, where do you use NSX-v as compared to NSX-T? Well, put simply, pretty much everything you do currently within VMware products should remain in NSX-v and everything else in NSX-T. Now there are capabilities already in NSX-v that cater for non-VMware products but I would expect them to move to NSX-T at some point in the future. I think it is a great step to create a clear distinction between these two products going forward but also giving other hypervisors and cloud environments the focus that they deserve. There are many mixed environments/hypervisors out there and also of great strategic importance to many organisations for various reasons. They should not be second-class citizens when it comes to network management and security and it’s great to see VMware investing time and effort to make sure they aren’t! As a reader points out in the comment, VMware released a technical whitepaper on NSX-T, titled “Introducing the NSX-T Platform“. It’s a short whitepaper, giving a high-level overview of the architecture, with the key takeaways towards the end. 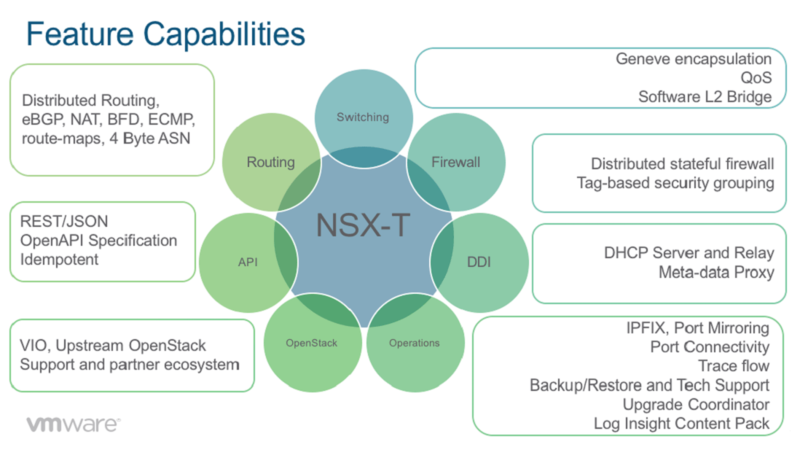 Also, here is the link to NSX-T documentation. The NSX-T white paper is out.